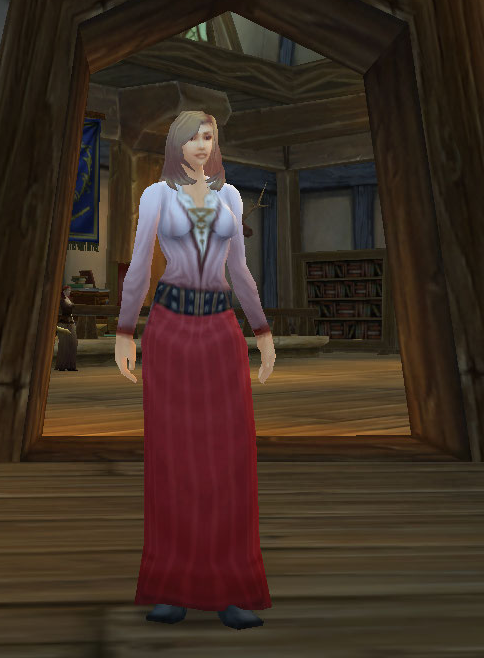 Bizarro Tanwen: Across Factions & Back Again « It's For My RP Spec! 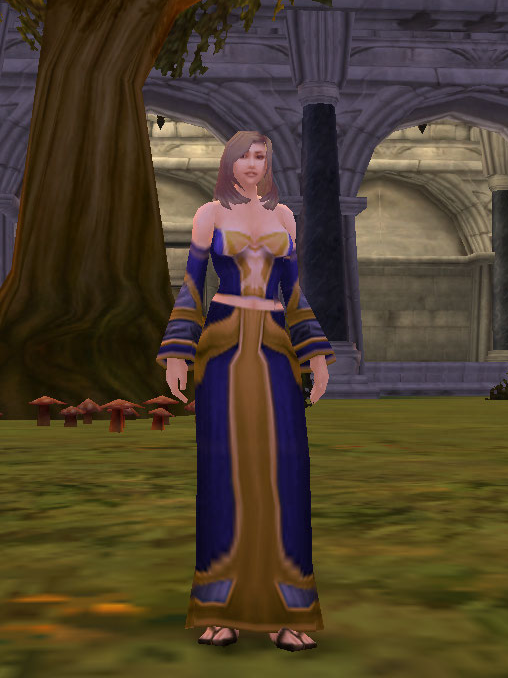 “Tanwen is slightly taller than an average human with a somewhat sturdier build than would be expected of a priestess. Dusty brown-blonde hair falls about her face and she is constantly pushing it out of her eyes with rough hands. Her clothing is simple and the only adornments she wears are tiny silver earrings. “Tanwen appears to be around twenty years old. 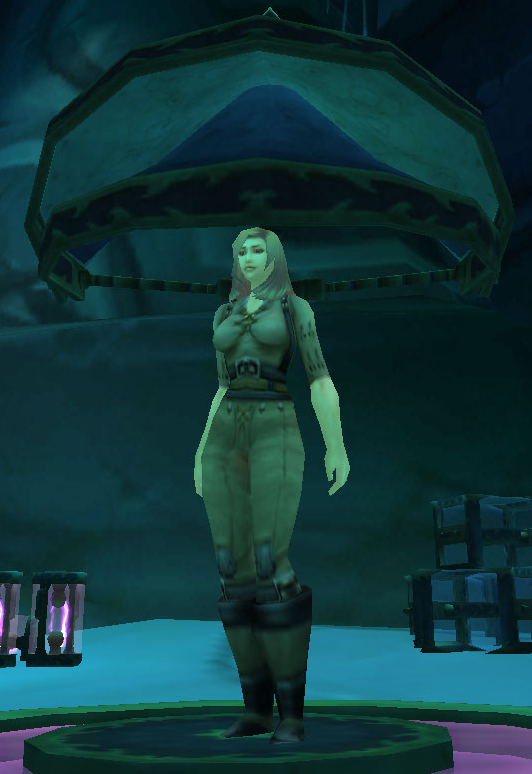 She is slightly taller than an average human with a somewhat sturdier build than would be expected of a priestess. Soft brownish-blonde hair falls haphazardly about her face. Tanwen’s a pretty simple girl, really. She’s relatively neutral in alignment, sometimes swaying to the good side. She has been evil but it was temporary and I had a really hard time playing her as a bad guy. So she’s back to her good old holy self. 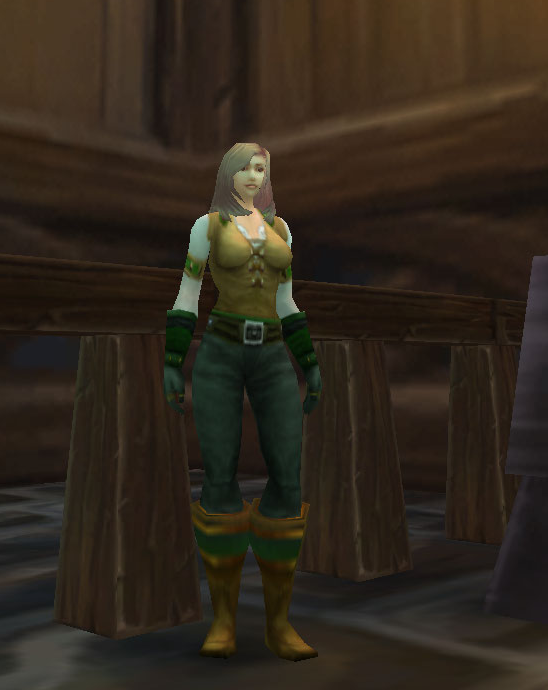 Note: the Cavalier’s Boots featured in a lot of these outfits are Alliance-only. Any blue-black boots could be used. 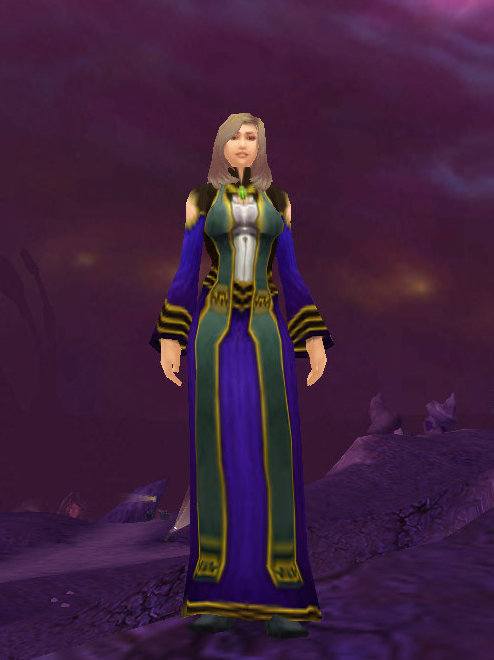 Tanwen certainly has some outfits that scream “priest” and the Outland blue-quality PvP set is one of them. 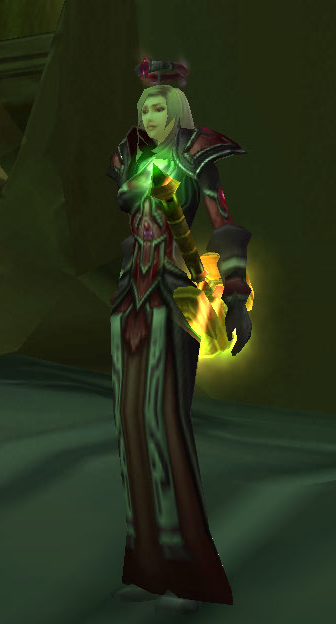 Paired with the Karazhan mace, it has a very holy look. 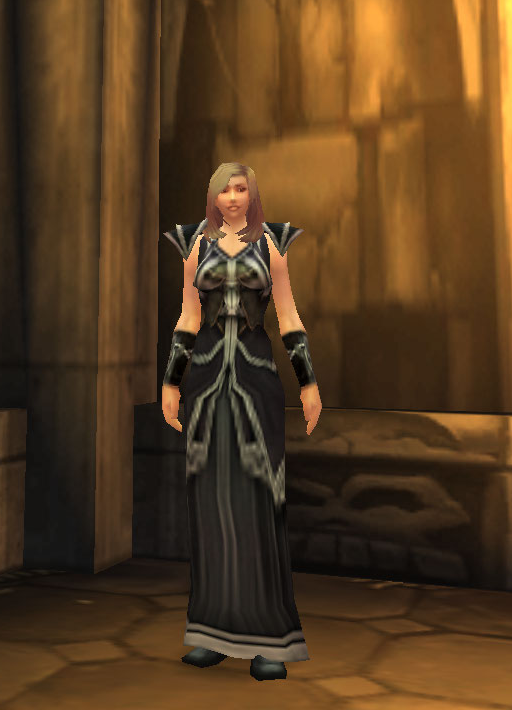 Tall and statuesque, Dark Lady Amalthea Tamesis Ravenshadow cuts an intimidating figure. 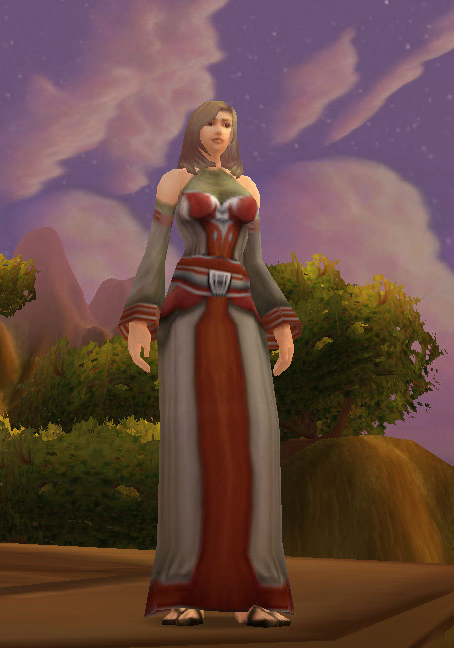 Broad shoulders and a rather large bust lead down to an impossibly whittled waist, followed by the draping skirt of her ritual robes over her womanly curves. Her face is hidden beneath a deep hood, her features shrouded in shadow. Despite your inability to see her face, you can -feel- that she is absolutely breathtaking. She exudes sexuality and mystique and you can’t help but feel drawn to her. Her voice is sweet (she sounds young but evidently extremely experienced and knowledgeable) but extremely commanding; she is clearly used to having every whim followed without question. 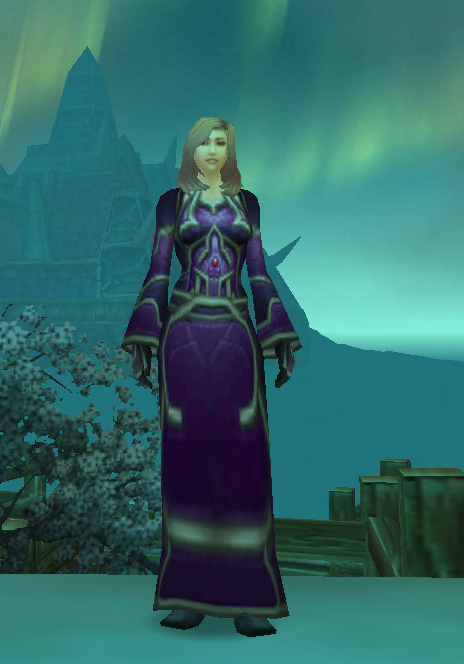 She barks orders in saccharine tones, following up nearly every decree with tinkling, angelic laughter (which is obviously tinged with Fel energies). 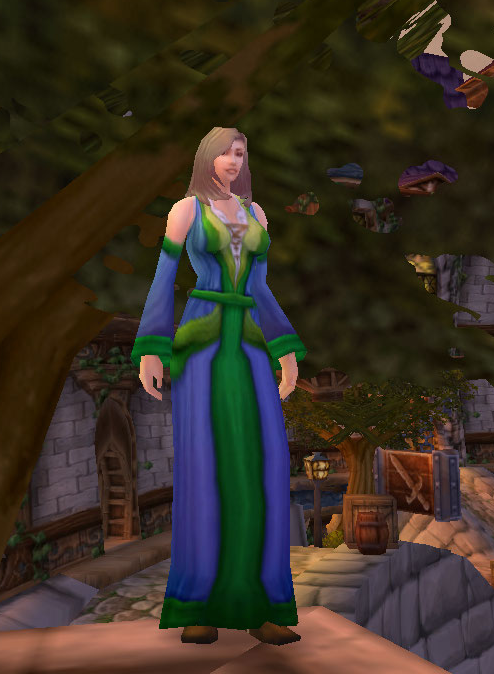 Under her perfectly-tailored robes, you can tell that she has just the right amount of “baby fat”. Curvy, but very muscular, Dark Lady Amalthea Tamesis Ravenshadow is perfectly proportioned. She carries the figure of a painter’s muse, striking envy in the hearts of all women around her and desire in the loins of men. In her perfection, there are slightly serpentine qualities; you get the feeling she may very well be a dragon in disguise. 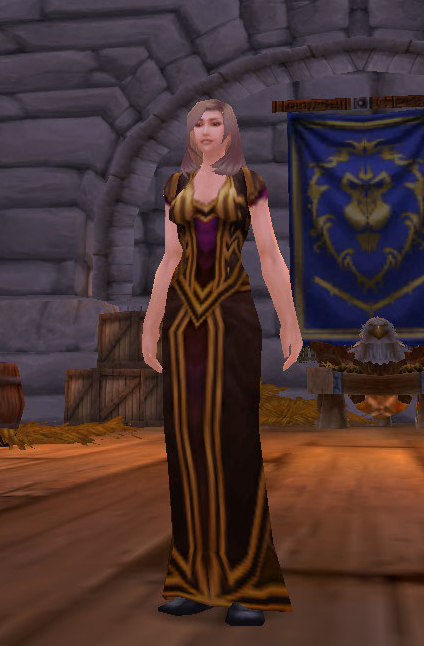 Her robes are a deep violet, mauve, and gold, laced with shadow black accents. Skulls adorn the clothing throughout. Animal skulls of indeterminate origin top her shoulders. She carries a ceremonial stave topped with a spiked skull; dark energy swirls around it and you can’t help but stare; you are unable to tear your eyes from the twirling orbs of shadow magic flickering about the object. An mid-sized ebon satchel is affixed to her waist with a thin titanium chain. When approached, Dark Lady Amalthea Tamesis Ravenshadow may seem cold but she is simply haughty and obviously of noble blood, unwilling to bring herself down to the level of the unwashed masses. However, once she has a few drinks, she is likely to be more receptive to conversation with commoners. I got a lot of OOC tells laughing at the Flag, so my work was done! 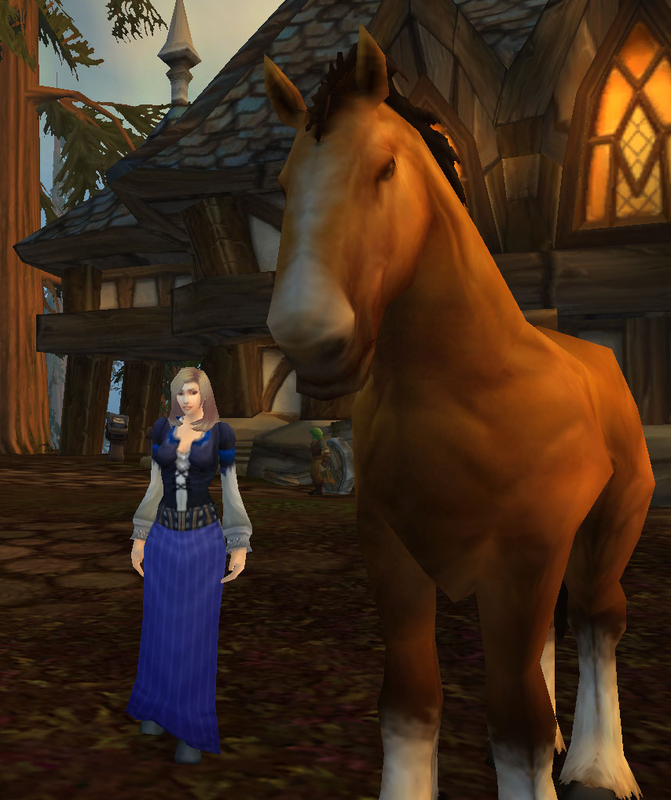 Tanwen and Marcus went on an expedition to Northrend. 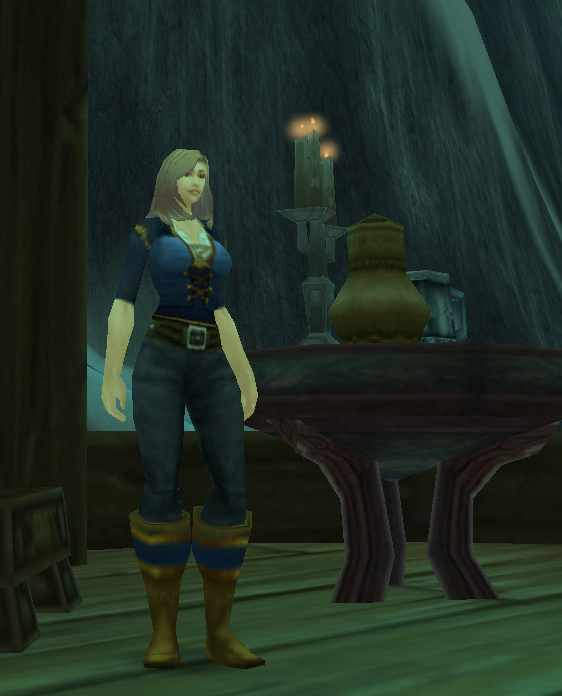 As you’ll see further down this list, that meant that Tanwen has a lot of warm pants outfits. Another exceptionally priesty outfit. 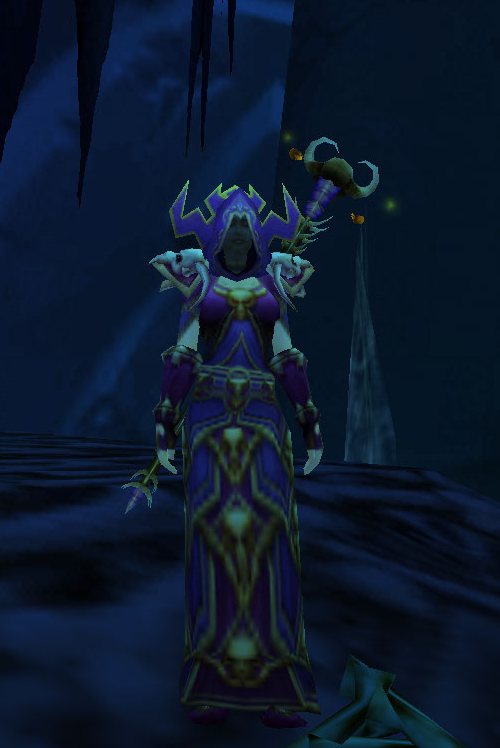 I love all the color variations of this staff model. 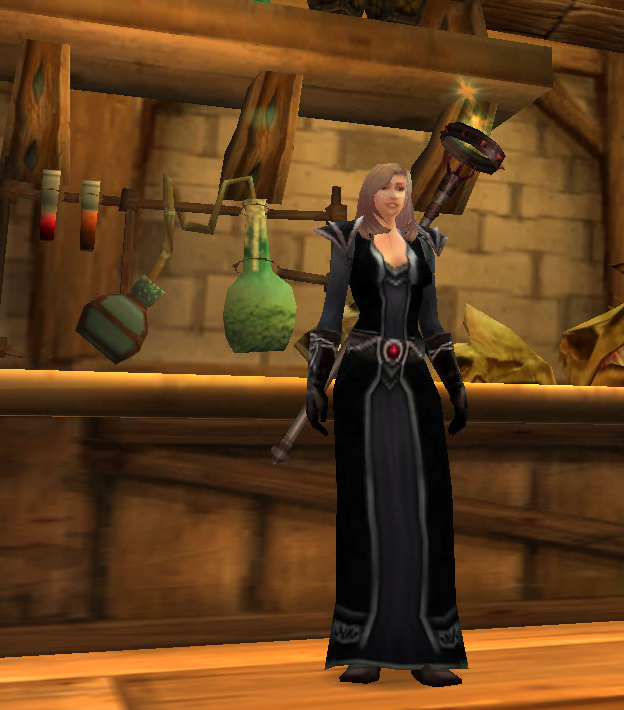 I have been buying up every cheap Warden’s Staff I find in the AH because I may need to make another outfit with this sort of staff! Two similar versions of the same dress. 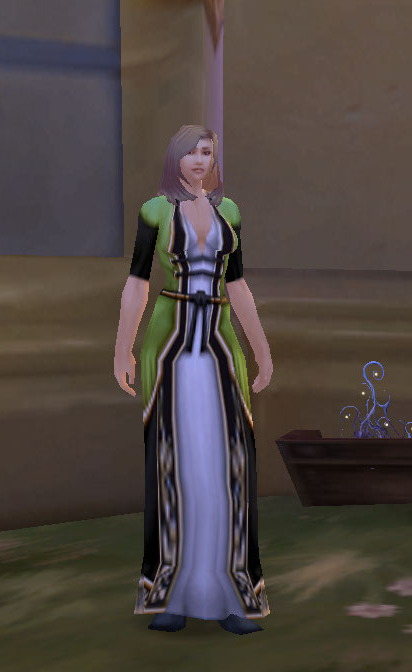 As mentioned in a previous post, the deep v-neck robes with the Sleeveless T-Shirt are one of my favorites. 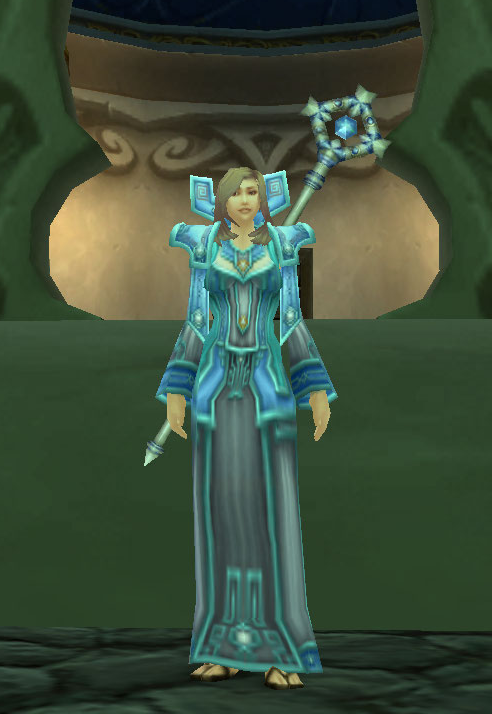 The two starting draenei caster robes are so amazing compared to most of the other races. Even the blood elven robes can’t hold a candle to these. 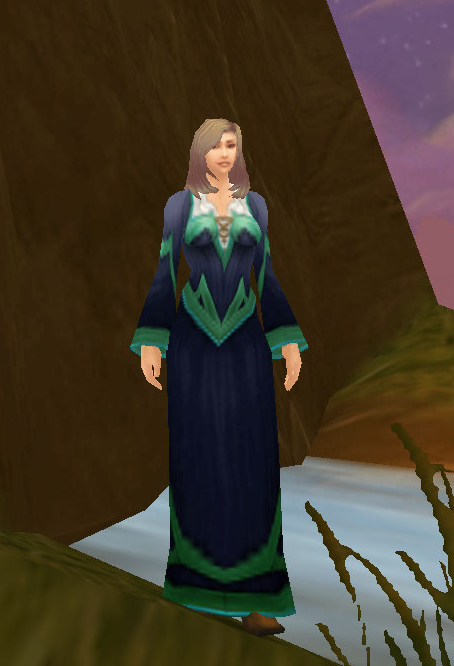 Robe of Doan, Runecloth Robe, Arcane Robe… so many different versions of the same model. I really love the blue in this one though. 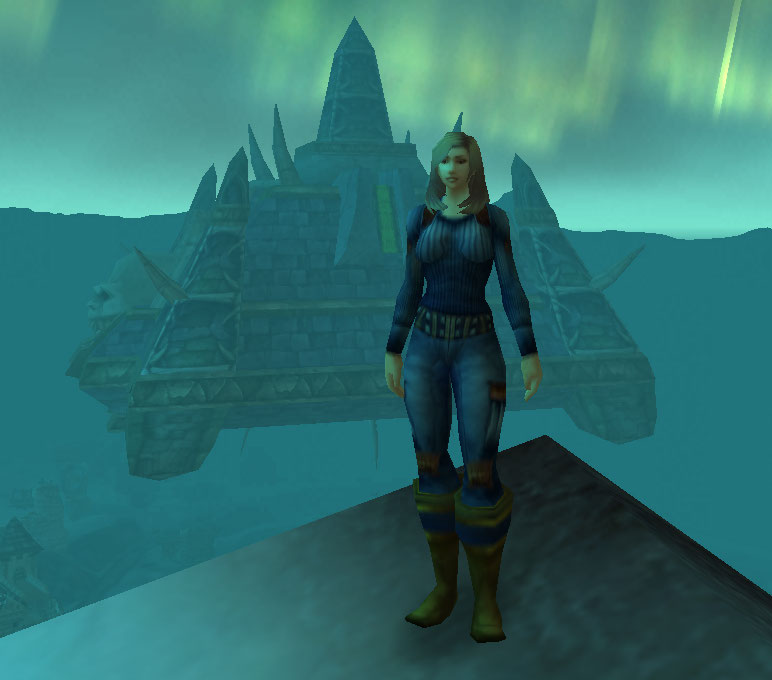 The next six outfits were part of the Northrend expedition collection. She had black hair during this phase of her life. 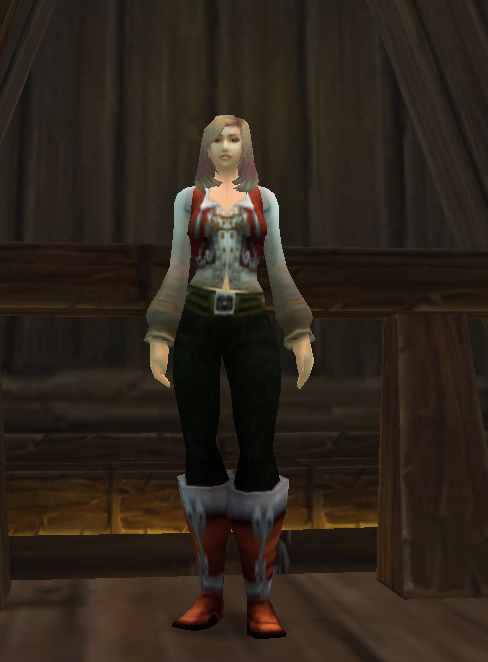 The Buccaneer’s Robe is pretty trampy with nothing under it. With the addition of the shirt and the belt, it really ties together. 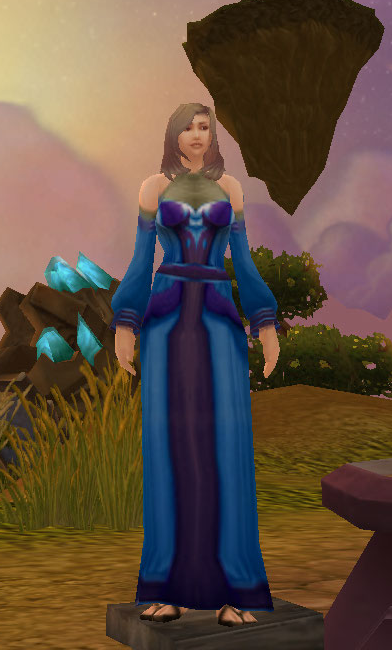 This is something my original RP character (the forgotten Celarus on Moon Guard) wore. I really like the vest-style top over the formal shirt. 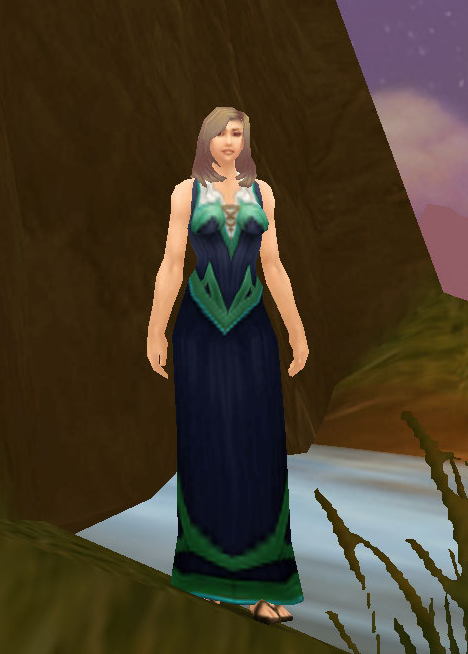 There are a lot of color versions of this dress, too! 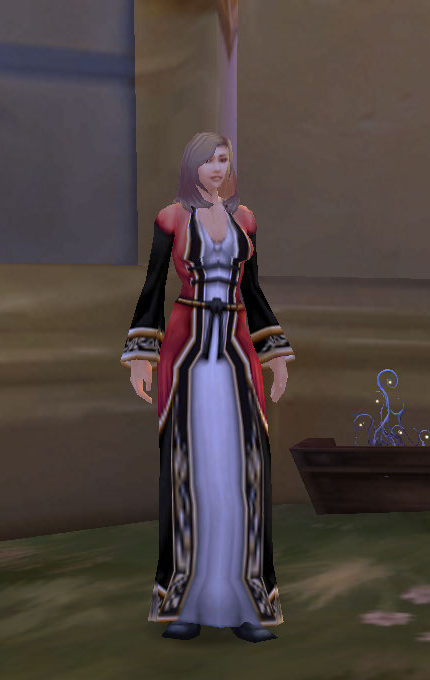 Real Tanwen has Narain’s Robe but the Imperial Red Robe is almost the same thing. 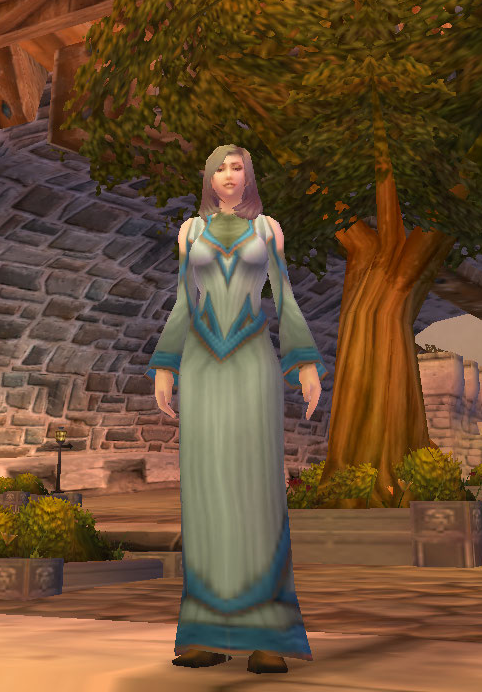 This is a rare-spawn dress from the dress vendor in Moonglade. 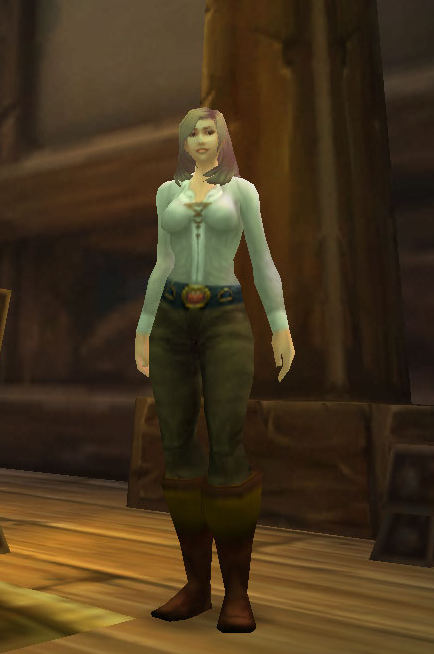 I picked up a few of these while camping the Formal Dangui (which I have yet to get on WrA). Marcus has talked a lot of trash about this outfit. I’m a big fan of the cut and the colors but apparently they clash. Oh well! Tanwen was evil for about 15 seconds. In stereotypical evil fashion, she invested in black clothes. I suppose this outfit has a dark/evil feel to it. 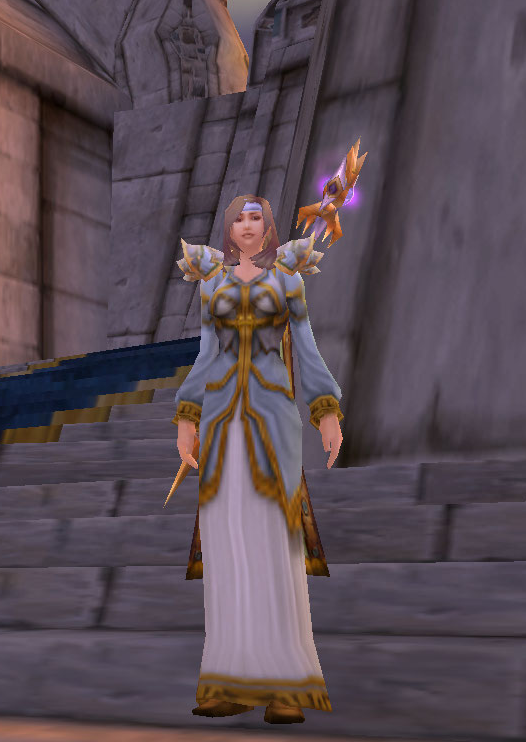 Super-priest. When I think priest non-tier, I think Gossamer! Still need to get a Benediction for this Tanwen to complete it. 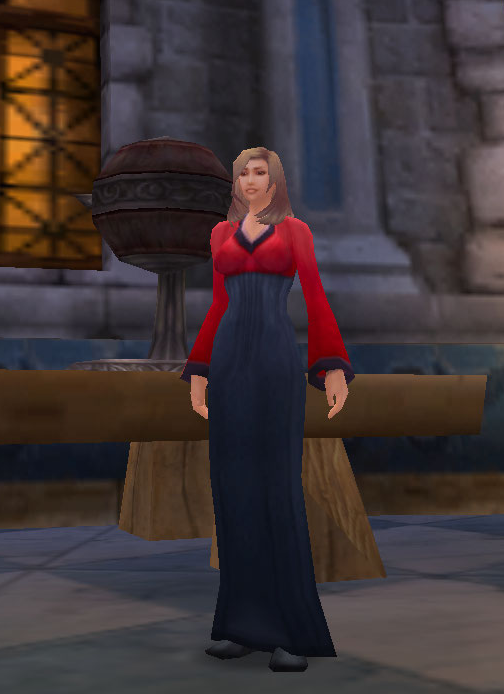 This is what Tanwen wore to the gala in the Keep where she was kidnapped. This is a gorgeous formal robe.